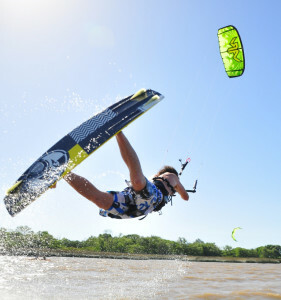 Experience Double Island Point lagoon which is only accessible by 4wd and is one of the most popular Kitesurf destinations on the coast. 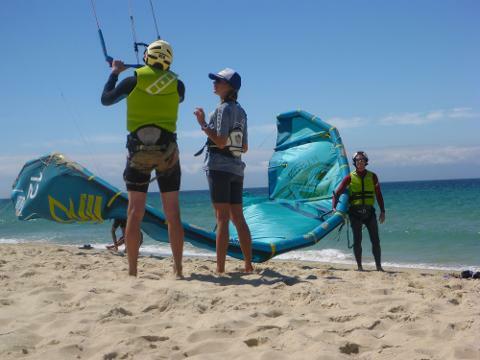 No experience is needed to learn to kitesurf however, a moderate level of fitness is required. This is a 3 X 2.5 hour kitesurf lesson package perfect for anyone really keen to Learn to Kitesurf in a well planned 3 lesson structure. This is absolutely the best way to do it, we find that taking your lessons close together makes for a faster progression and understanding of Kitesurfing as it's all there fresh in the mind. Once your up and riding you got it forever! 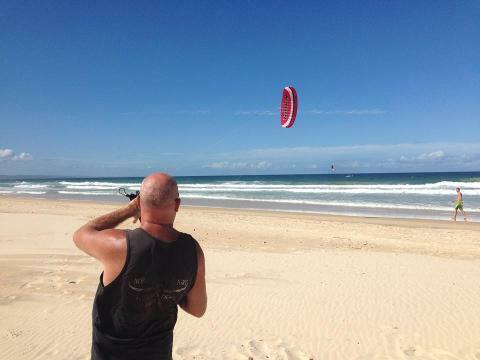 landing & other kite skills are introduced in this thrilling first kitesurfing lesson.